2018 OSB Photos now available at DanceSportPhotography.com! 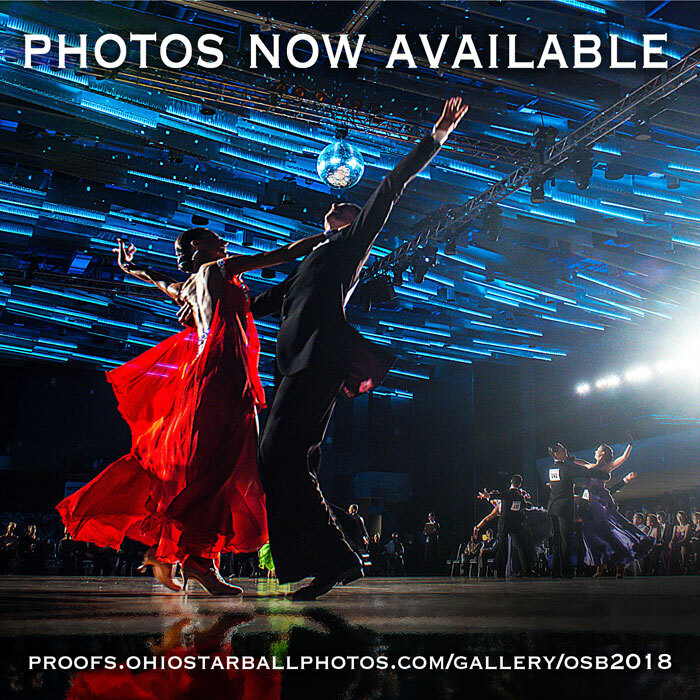 Click above to view the extraordinary dancing photos taken at this year's 2018 Ohio Star Ball by the DSP photography team. 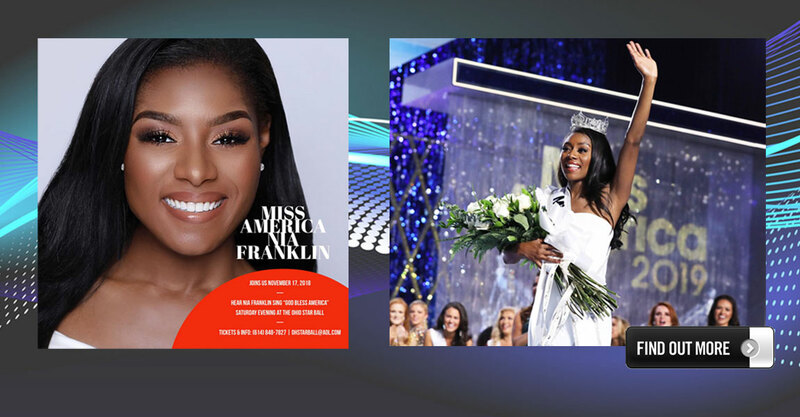 Nia Franklin, Miss America 2019, sings at Ohio Star Ball! 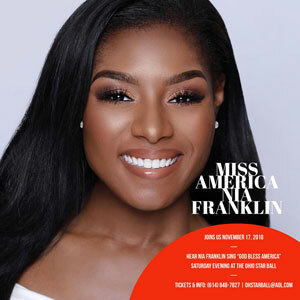 Nia Franklin, recently crowned Miss America for 2019, will join us at the Ohio Star Ball. She will perform ”God Bless America” as part of the Saturday evening show. We will also have a special meet & greet before the shows on Friday & Saturday night. 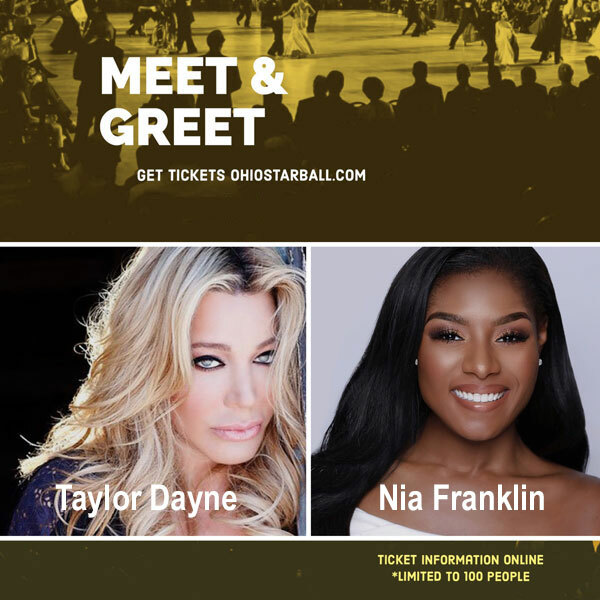 It'll be a great opportunity to meet Taylor Dayne and Nia Franklin. 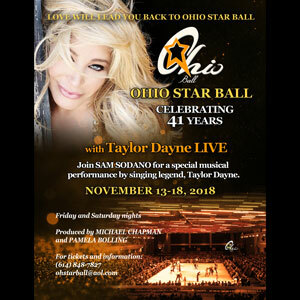 The Ohio Star Ball is celebrating 41 Fabulous Years in 2018 with an incredible lineup of Nostalgia Flashback Performances from former Dance Champions, plus a special performance by the Music Legend, Taylor Dayne!!! 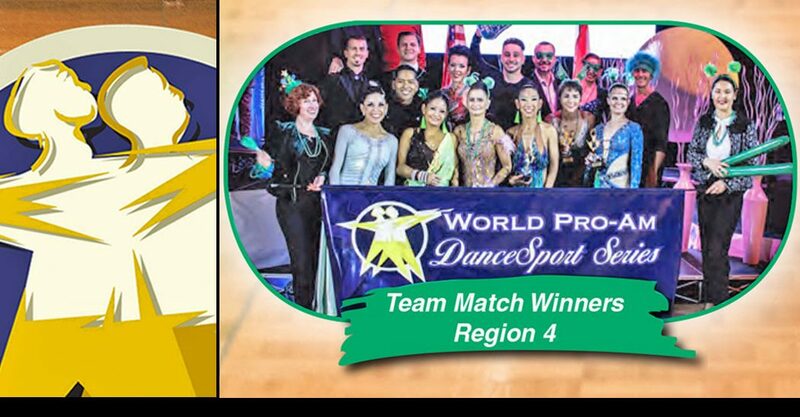 World Pro-Am Dancesport Series Team Match! 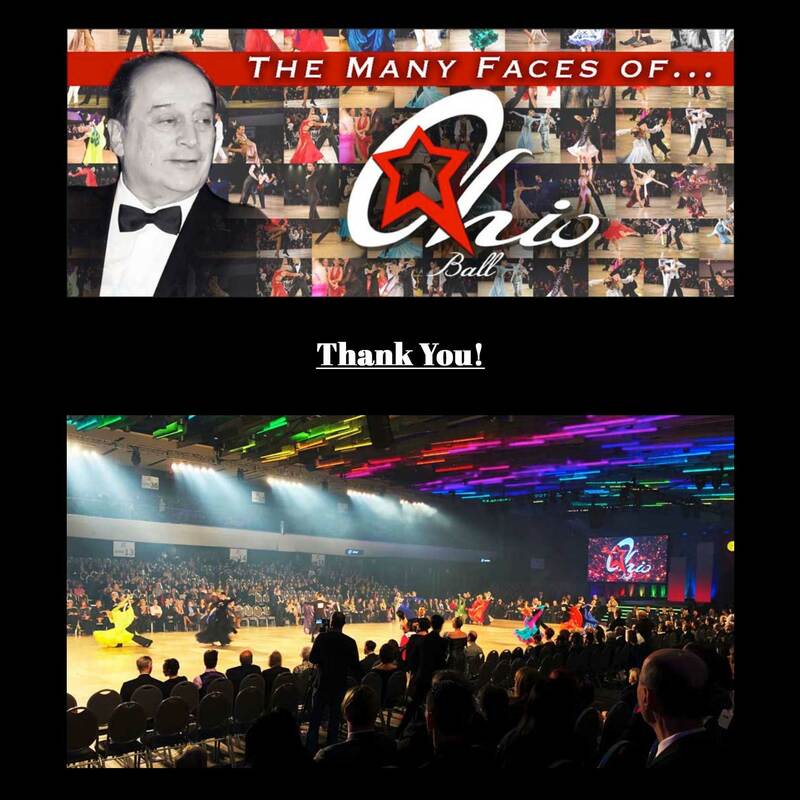 The World Pro-Am Dancesport Series Team Match is held each year at the Ohio Star Ball on Thursday night. It's a fun and exciting competition that you don't want to miss. Last year's winner was Region 4. Who will be this year's 2018 winners? Please come to find out. All Styles Weekend Dance Camp! 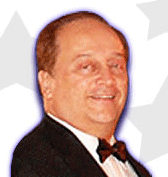 Six former Dancesport Champions will be lecturing on Friday and Saturday in one room. Don't miss your chance to learn from the Best! Shown are the 2017 Best of the Best Grand Finale Winners. Who will be this year's 2018 winners/ Find out at this year's 2018 Ohio Star Ball. Dance Competitions that feature the World Pro Am Dancesport Series or Best of the Best Dancesport Challenge will also feature these events for Fordney Junior and Youth Dancesport competitors. 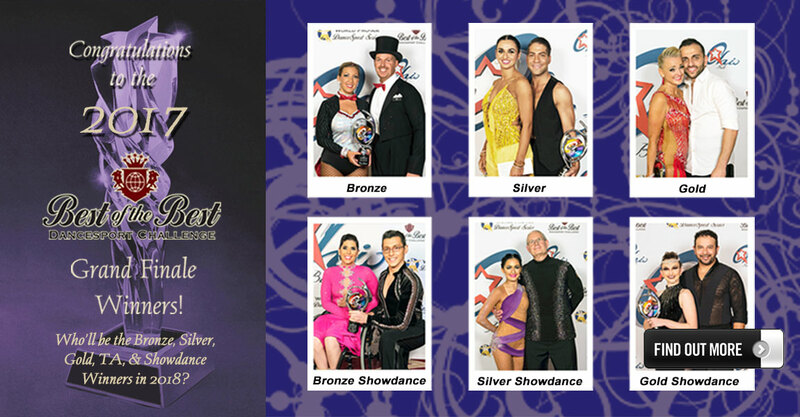 World Pro-Am Dancesport Series Top Winners for 2017! 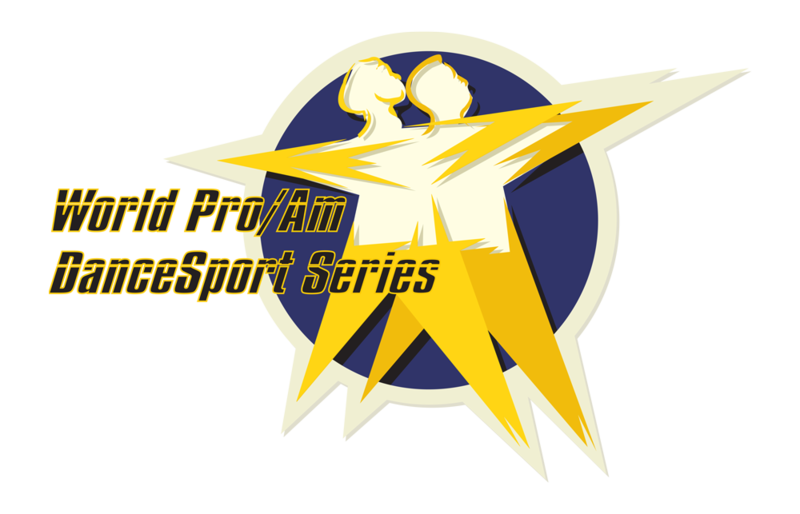 The World Pro/Am Dancesport Series is a network of over 90 Dancesport events held throughout North America that promotes their events with a highly desired reward system. Last year's 2017 Top Winners are shown above. Who will be this year's 2018 Top Winners? Please come to the 2018 Ohio Star Ball to find out! "There are no strangers at the Ohio Star Ball, only friends we have not met yet..." Every competition is one step closer to the Ohio Star Ball . . . 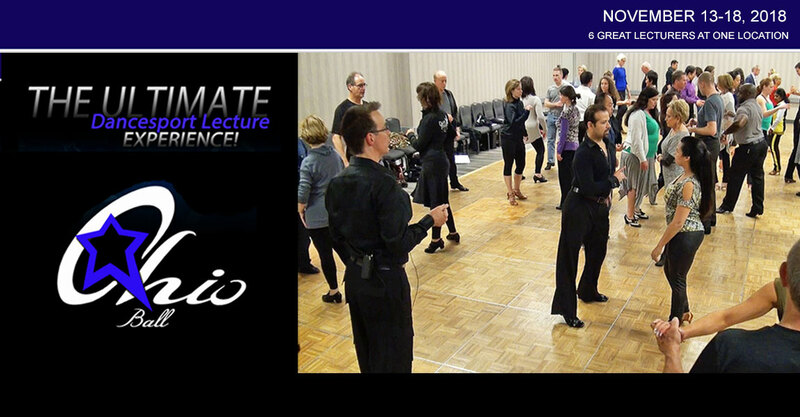 Your Ultimate Dancesport Experience!!! 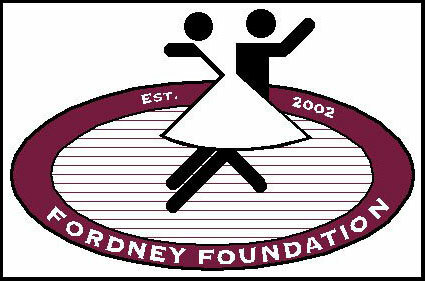 The Fordney Foundation is a non-profit foundation for Dancesport that was established in May, 2002 and provides young people with grants that allow them to train and compete in Dancesport competitions. 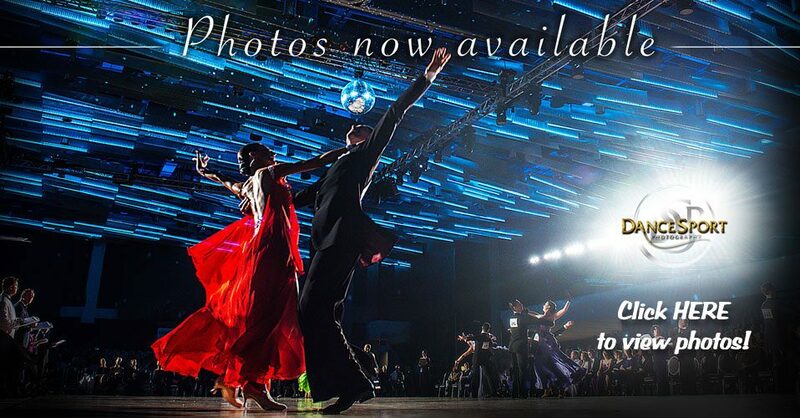 The Best of the Best Dancesport Challenge is a competition for some of the top Pro-Am couples from over 30 Dancesport events and winners compete at the Grand Finale held in November at the Ohio Star Ball. The World Pro/Am Dancesport Series includes over 90 competitions held yearly in North America with a highly desired reward system and ends at the Ohio Star Ball with an exciting Team Match and awarded Titles. Video Highlights <- View more! 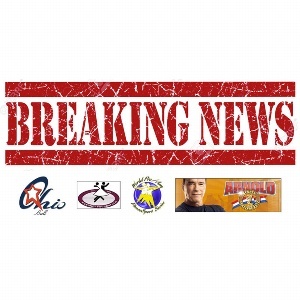 Latest News <- View more! 2018 OSB photos now available at DSP! THANK YOU . . . from the 2018 Ohio Star Ball! 2018 Ohio Star Ball All Styles Dance Camp! 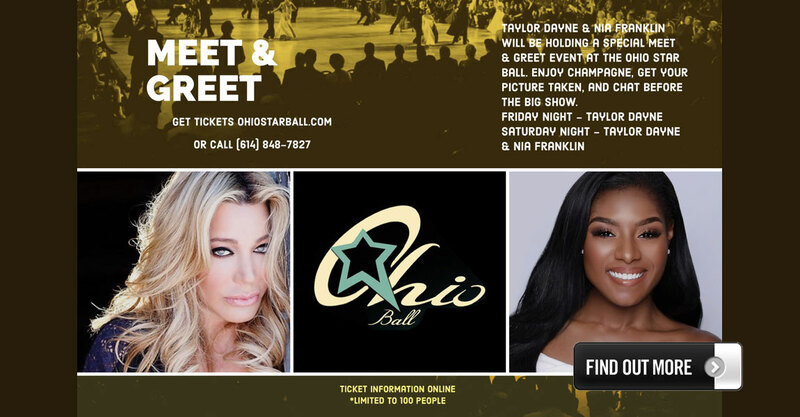 Taylor Dayne & Nia Franklin "Meet & Greet" on Friday & Saturday nights! Tony Dovolani & Elena Grinenko to perform at 2018 OSB! 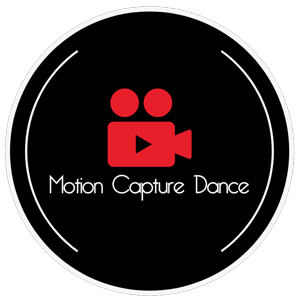 Motion Capture Dance is official videographer at 2018 OSB! 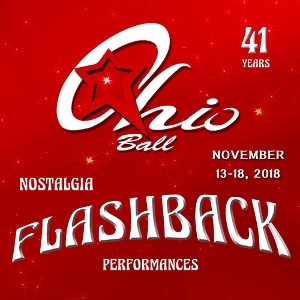 2018 OSB Nostalgia Flashback Performances! 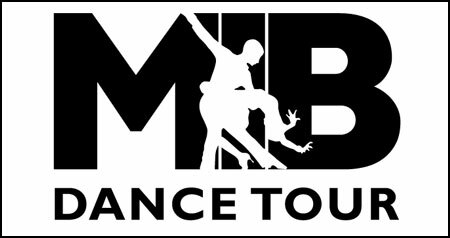 2018 OSB Collegiate Dancesport Challenge again hosted at OSB!!! Fordney Youth Winners invited to 2018 Arnold Dancesport Classic! *** 2018 Results By Person listed in Results menu tab above! Also 2018 Collegiate results listed in Results tab! *** Please click 'Event Info' tab above and select 'OSB Newsletter' to view our Daily info newsletter. *** Final 2018 OSB Event Schedule, with Heat numbers, now available; click HERE! Note that the detail times of the Single Dances are also shown in a separate section toward the bottom of the Schedule. *** 2018 Ohio Star Ball Entry Forms available on Registration page! *** 2018 Ohio Star Ball Collegiate Challenge online registration also available on Registration page! Tickets, Competitor Registration, and Hotel Reservations! For Ticket information, please visit our Tickets page, and for Competitor Entry Forms Registration information, please visit our Registration page. The 2018 Tentative Schedule is available HERE. Please check back regularly to this web site and on our Facebook page for any updates or news. 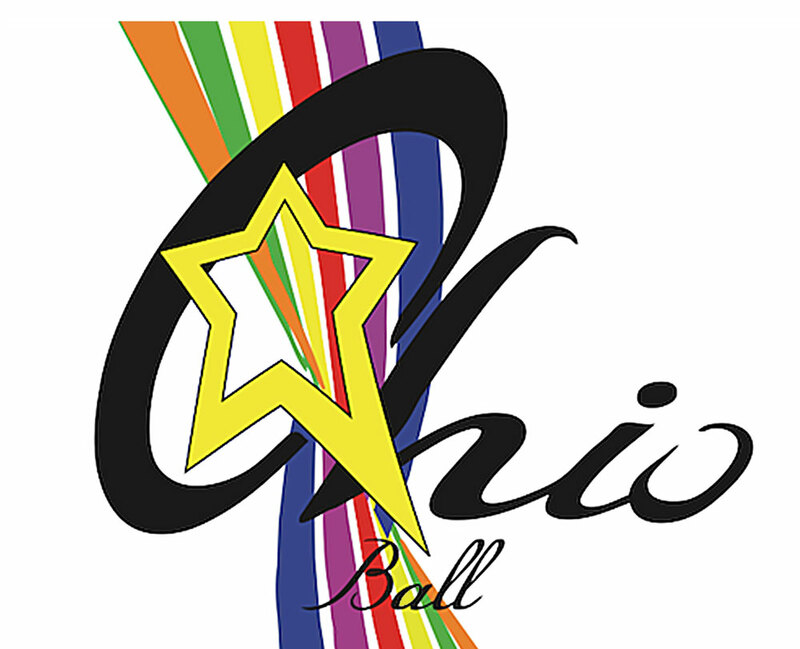 If you're planning to attend the Ohio Star Ball on a Package, please contact your studio if you have any questions on tickets, registration, hotels, or pricing. 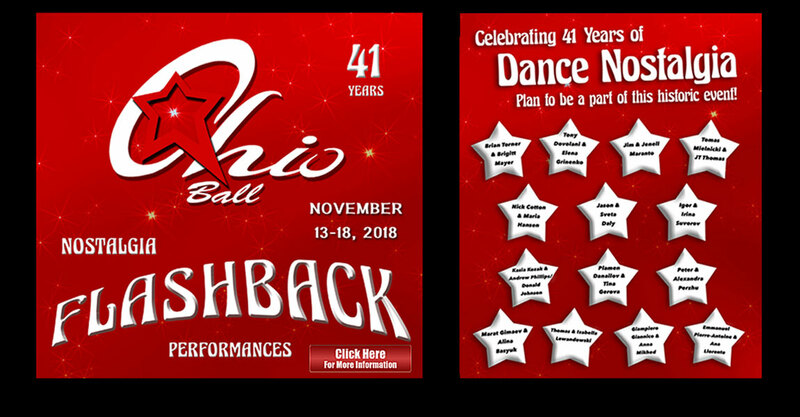 If you're a studio or independent teacher/student and have tickets/registration/hotel/pricing questions, please contact the Ohio Star Ball Registrar using the information on the Contact Us page. For those of you who are not on a Package and would like to reserve a hotel room, please call our Hotel Room Reservation Hotline, 614-940-8668, preferably between the hours of 8 am and 8 pm Eastern time. We will need to know your arrival/departure dates and whether you want Single or Double occupancy. Come join us at our other Events!